The other day, I came across an article in a little newsletter I get a few times each week called QUORA. This is a newsletter/site where people can write in and ask questions—sometimes really odd or different questions, like “What does it feel like to die?” or “Are only children happier than children from large families?” – just stuff like that, and anyone can answer. Once the questions are answered, you can see all the answers, but the ones with the most “Upvotes” are the ones that move to the top of the answer page. The other day, one of the questions was something like, “What makes a person boring? How can I try NOT to be boring?” I read several of the answers, and as I did, I thought about the characters we create and how this might apply to them, as well. Growing up in the 60’s/70’s, there was still a prevalent idealogy that, to “catch a man” everything had to be about him. 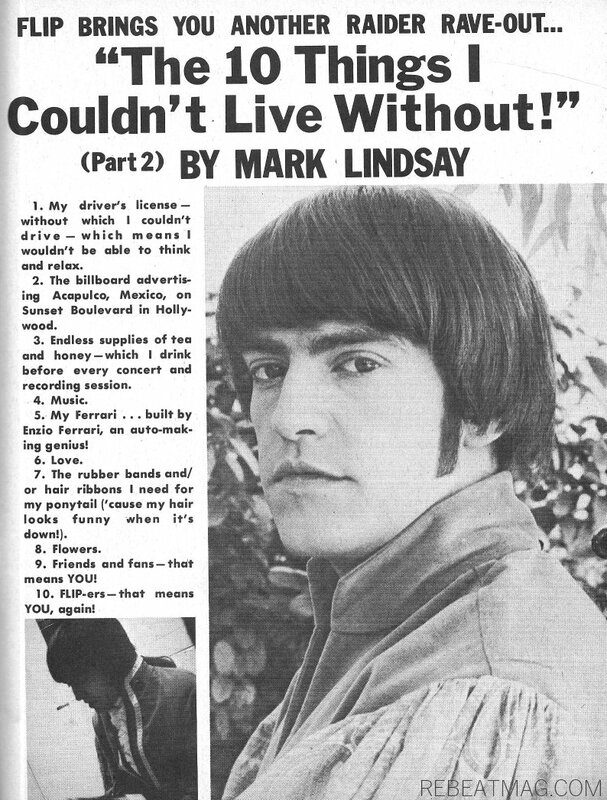 Even articles in magazines for young girls, such as Seventeen and Glamour and Mademoiselle talked about the things we women should do to make sure we snagged our guys and kept them. Number 1 on every list was “TALK ABOUT HIM”. Make him feel that he’s the most interesting thing on earth. 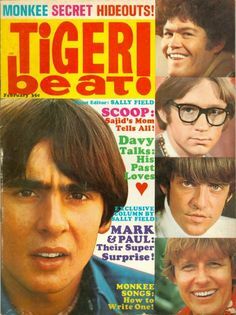 Here's an example from Tiger Beat: Look at the worried expression on Davy Jones's face...what teen girl wouldn't give anything to make him smile again? 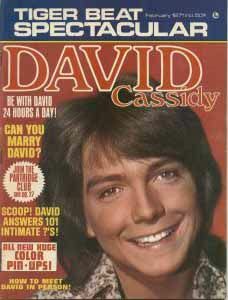 And David Cassidy? Be still my heart. Let me find out what I need to do to make him MY OWN! My personal heart throb at the time, Mark Lindsay of Paul Revere and the Raiders...I must know the bad things he does, and of course, the things he can't live without. How can I hope to please him, otherwise? Well, some of the responses to what makes a boring person (or character) were pretty eye-opening. One of them was that the boring person was “absent” from the conversation—although they’re right there physically, they’re always trying to guide the conversation back to their interests. When everyone else is discussing books, the “boring” person is wanting to talk about something they are an authority on, or at least know more about than others there, rather than contributing to the ongoing conversation. If they DO manage to take part in the conversation that’s flowing around them, they’re only waiting on their chance to say what they have to say—not listening to what other people have to contribute. I’ve noticed that in many romance books, the hero is not listening to the heroine because he wants to; he listens for information he might be able to use. A classic example of this is Sweet Savage Love. Oh, how I loved that book, and still do—but I do recognize that in today’s world there are some problems with it. Steve really doesn’t see Ginny as a person with wants and needs and desires—his goal is to make sure the intrigue that’s happening around him is manipulated to his plans, and Ginny is there to slake his sexual thirst. He does fall in love with her, but for much of the book, we know she is very much in love with him…and aren’t so sure he has any feelings for her at all above the sexual desire he feels every time they’re in a room together. So our hero needs to actively listen to what the heroine is saying (which is going to require him to think about what she says) and he is going to need to be “present” mentally and emotionally—not just physically—when they’re having a conversation. As for the heroine? Voicing an opinion or a conviction about a subject she feels strongly about is imperative. This is usually not a problem for the hero—he’s out fighting for the cause, or going after the bad guys, and so on. But for our heroine, in a time when women were to be silent, well…our heroines can’t be held to that rule. You’ve heard the word “feisty” used to describe heroines of many books. That’s a nice way of saying, “A heroine who has her own opinions and isn’t afraid to stand up and be counted!” If a heroine isn’t interested in any social injustices around her, or doesn’t have a cause of her own of some kind, what does she do to be interesting? Constant parties or working on needlepoint doesn’t make for an interesting person. She must have something to care about—something that might even come between her and the hero. In my book, Gabriel's Law, Brandon Gabriel and Allison Taylor were at the same orphanage together for a few years as children. It's Allie's dream to open her home to young boys who can help her raise cattle, investing in their futures. Brandon has no dreams...but as adults,when Allie saves his life, her dreams become his without his even realizing it's happening. Remember, in dialogue, the most important key to keep your characters from being boring is letting them tell their story in an interesting way. Keeping a secret until the end of the dialogue, a secret the reader may know but the heroine is keeping from the hero, then springing it on him in a bombshell, is an interesting way of making the facts known. But it does something more—it shows personality traits about both the hero and the heroine. More on that next time! What's something one of your heroines cares passionately about? What about one of your heroes? Does he have something he believes in that makes him interesting? 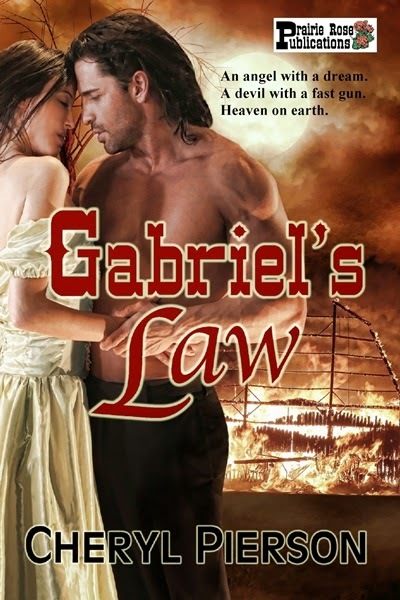 Leave a comment for a chance to win a digital copy of GABRIEL'S LAW! Don't forget to include your contact information. I look forward to hearing what you all have to say! And this is for everyone--if you aren't a writer, tell us about a character(s) you've read about and what made them interesting to you. Margaret Leatherbury Hallett was born on December 25, 1787, in Stafford County, Virginia to a well-to-do family. At eighteen she fell in love with John Hallett, a merchant seaman. 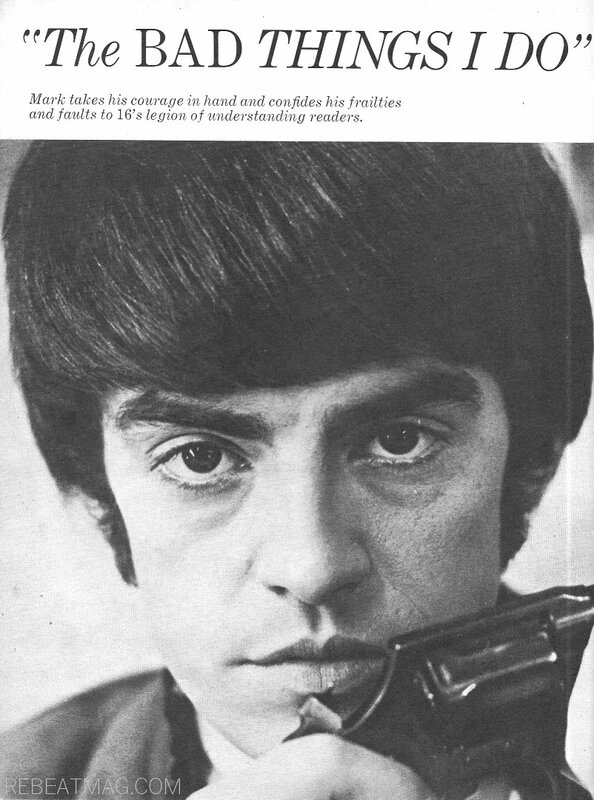 One account says that John was the youngest son of a gentleman from Worcester, England. At an early age, he joined the Royal Navy, but when an officer threatened him, he jumped overboard, and swam to a nearby American ship. Allowed to stay on board, he was brought to the United States and adopted by a merchant seaman. Allegedly the couple settled in what would later be called Matamoros, Tamaulipas, a Mexican port across the Rio Grande from present Brownsville. The village where they settled was a commercial center used by area cattlemen. It’s an amazing account since they opened a mercantile business in the Spanish Colonial village while the Mexicans in that area were fighting for their independence. During that time, their first two sons, John Jr. and William, were born in 1813 and 1815. When their store there was confiscated by the Mexican government, they moved to Goliad, Texas and set up a trading post. There a third son, Benjamin, was born in 1818 and a daughter, Mary Jane, in 1822. Something happened to Benjamin when he was about ten, but it’s unknown what.Some sources say he was kidnapped by Indians. The Halletts were still living in Goliad in 1833, when John took a league of land (4.428 acres) in Stephen F. Austin's colony on the east bank of the Lavaca River in what is now Lavaca County. The family continued operating the trading post at Goliad while John took workers with him to build a log cabin on their new property, dig a water well and (allegedly) protect the cabin with a moat that was five feet wide and three feet deep. Not long after it was completed, he died around 1836 and was buried in Goliad Texas. After the fall of the Alamo on March 6, 1836, Margaret and her daughter Mary Jane fled in the Runaway Scrape with all the other families to escape Santa Anna’s advancing army. Margaret, a forty-nine-year-old widow and her daughter Mary Jane were in Goliad when a young man, Colatinus Ballard, rode in to let Margaret and Mary Jane know that settlers were moving onto the property they owned up on the Lavaca River. The two left immediately for their cabin. Upon their return, they found their property destroyed and set about rebuilding and replanting. The two oldest sons fought at San Jacinto on April 21 in the battle that won Texas independence from Mexico. The oldest son, John, Jr., returned home after the war and was killed by Indians. (Comanche were fiercely resentful of Anglos.) That same year, his brother William went to Matamoros to buy land, was accused of being a spy, and sent to prison where he died. Upon arriving, Margaret and Mary Jane met two friendly Tonkawa Indians and their new neighbors who told stories of constant Comanche attacks. 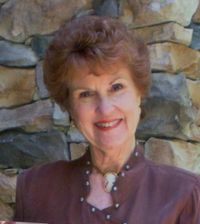 Margaret called a meeting of the settlers and the two Tonkawas who agreed that they must go to San Antonio to seek help from Texas Rangers to rid the land of the raiding Comanches. Margaret prepared food for the trip and issued instructions for the best route. 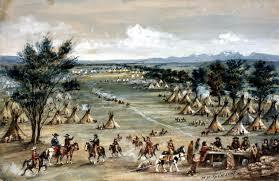 Within two weeks the Rangers had cleared the Comanches from the area. As more settlers arrived, Margaret stocked her cabin with supplies and began operating a trading post, bartering coffee, sugar, and other merchandise with the Tonkawas and her new neighbors in exchange for hides and pelts. She hauled the hides and pelts to nearby Gonzales to trade for corn, some of which she planted as a crop. She also raised cattle and horses that carried her own brand. John Rush Buffalo, William Stevens, John Allen, and Mary Richards. Seated in front are John Williams, Grant Richards, Sherman Stiles. Despite being a widow, Margaret never wore black, instead preferring brightly colored clothing. She also wore a chatelaine bag, a purse like affair that hung by a chain from her waist. Gossips claimed that she carried gun powder in that bag. Apparently no one had the nerve to ask. 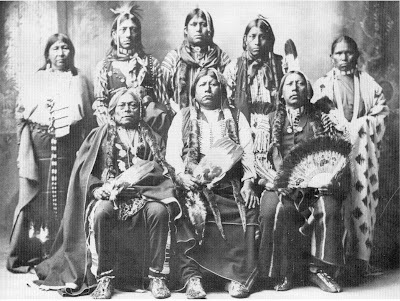 As Margaret learned their language, the Tonkawas became good friends, warning her of impending Comanche attacks. One legend says that some Tonkawas came into her trading post asking for free merchandise. When she refused, one of the Indians began to help himself, and Margaret hit the Indian on the head with a hatchet and raised a knot. When Chief Lolo came to investigate the incident, he was so impressed with Margaret’s independence that he named her “Brave Squaw” and made her an honorary member of the tribe. On December 21, 1843, Mary Jane married Colatinus Ballard. He was an energetic, progressive promoter of commerce in the new town. Some said he was a cousin of Mary Todd Lincoln. The store he established on the southwest corner of Block 5 was a well-stocked establishment. He also maintained a freight line to and from Port Lavaca, hauling produce there and bringing back supplies. He was also successful in bringing a variety of tradesmen and businessmen to the settlement. Margaret donated land in 1838 near her trading post for a town. The town was named Hallettsville in her honor but was also known as Hidesville in its early days because of a hide stretched across the door of the Hallet cabin. 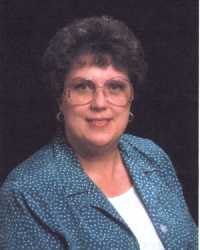 Margaret built a new home in Halletsville and promoted the town vigorously. In 1842 the legislature authorized the establishment of a judicial county to be named La Baca, which later became Lavaca County. County and district court sessions were held in the Hallett home pending the selection of a county seat. 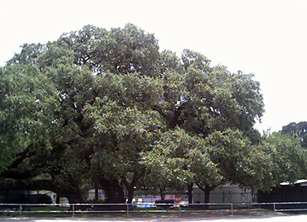 The town was laid out around a central square in 1838 by surveyor Byrd Lockhart. By 1841, the town began to take shape. Halletsville was spelled with one "t" for many years until the present spelling of Hallettsville was officially adopted by the City Council in 1888. Hallettsville and the older town of Petersburg each wanted to be named the county seat. In November of 1851, the town of Petersburg petitioned the Texas State Legislature to declare the town to be the permanent county seat. Leaders in Hallettsville contested the petition and on January 15, 1852, a bill was approved by the Governor that selected June 14, 1852 as the Election Day for the county residents to select a permanent county seat. While Hallettsville won the election, a records war ensued between Hallettsville and Petersburg which lasted for several months. Margaret Hallett, her daughter Mary Jane Ballard, and her son-in-law Colatinus Ballard were instrumental in having the county records moved from Petersburg to Hallettsville by ox cart and seeing that they remained there. Allegedly, that settled the dispute. Mary Jane had attended a private convent. In 1852, Margaret gave land to establish the town’s first public school and helped organize the Alma Male and Female Institute. Margaret Hallett died in 1863 at the age of seventy-six and was buried on the Hallett league. Later her remains were transferred to Hallettsville City Memorial Park, where a grave marker acknowledges her as the founder of Hallettsville. "Hallettsville with its 1300 people in 1913 had thirteen newspapers, thirteen saloons, thirteen churches, and an empty jail," all true according to author historian Paul C. Boethel. The five printing shops of the town published The Daily Booster; three semi-weeklies Novo Domov, Herald and New Era; five weeklies Nachtrichten, Rebel, Habt Acht, Decentralizer and Pozor; three semi-monthlies Vestnik, Obzor and Buditel; and one monthly Treue Zeuge. There was a saloon and church for every editor, a saloon for every pastor and a pastor for every saloonkeeper! There was a church for "all kinds of people---from Methodists down to Papists, not forgetting the Campbellites--all hide-bound as the Devil himself" including a Christian Science chapel and a Jewish synagogue housed in the Odd Fellows Hall. Margaret Hallett was a true pioneer with the stamina and independence to succeed. 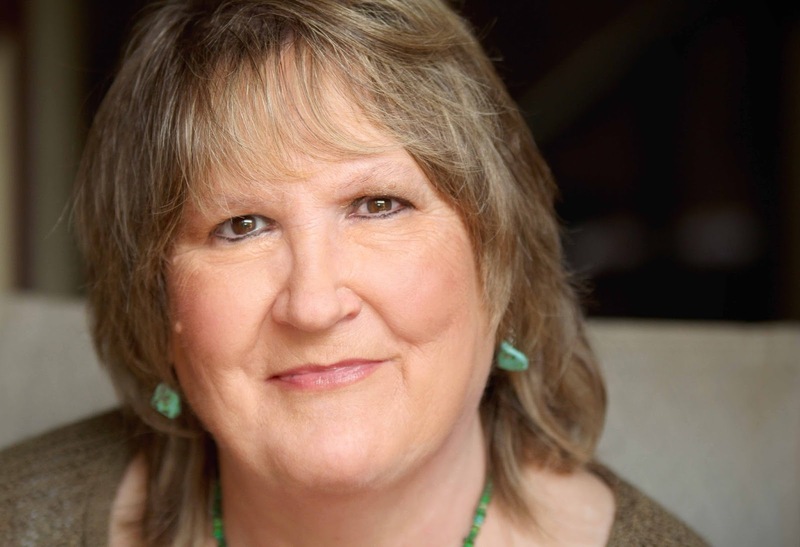 Against tremendous odds, she shaped the future of a town. 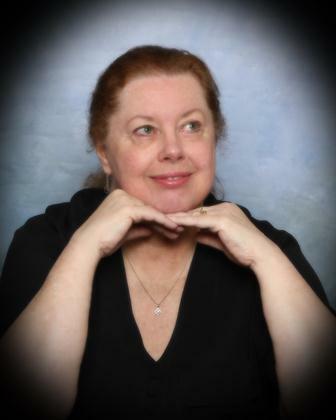 Growing up in a brothel, Mara O'Sullivan battled public disdain and contempt, but always remained kind-hearted and gracious. After testifying against vicious bank robbers, her life is threatened and Mara must find sanctuary far from everything she knows. One train ride changes her life as she fatefully meets a half-sister and a niece she never knew existed. 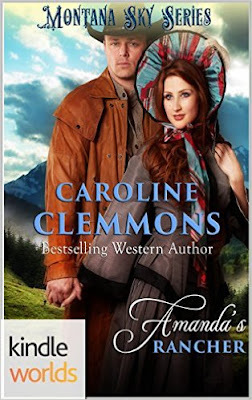 But when circumstances end her sister's life, Mara makes a promise that she'll raise her niece as her own and take her sister's place as Preston Kincaid's mail-order-bride. As Mara and Preston grow closer, their marriage no longer seems like a ruse, but a relationship of love, passion, and desire. Mara's past comes back to haunt her and she finds herself in danger—will her new husband forgive Mara's deceit and protect her as his own? 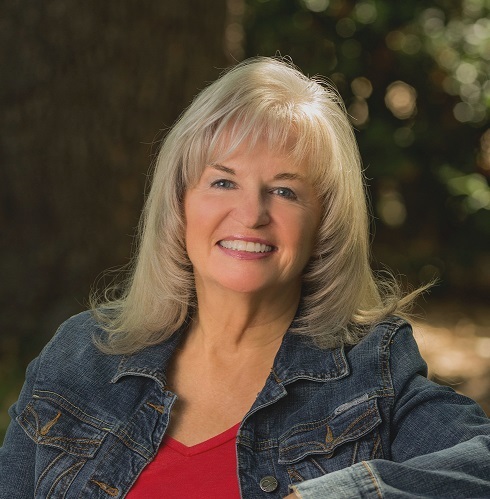 Subscribe to Caroline's newsletter and receive a free novella, HAPPY IS THE BRIDE. My current release starts out in a mining town. After researching the type of mining town, I concluded it was one with a stamp mill. 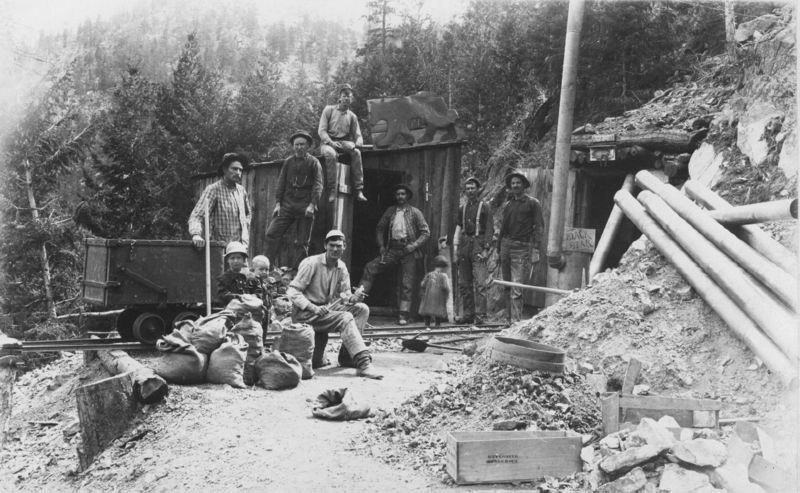 I’d researched this type of mining before for my book, Miner in Petticoats, book three of my Halsey Brother Series. This time I was researching for a book to be included in a Kindle Worlds series. 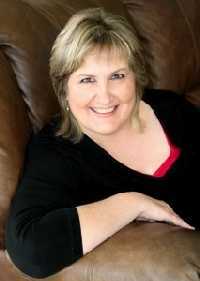 To be exact it is part of Debra Holland’s Montana Sky Kindle Worlds Series. 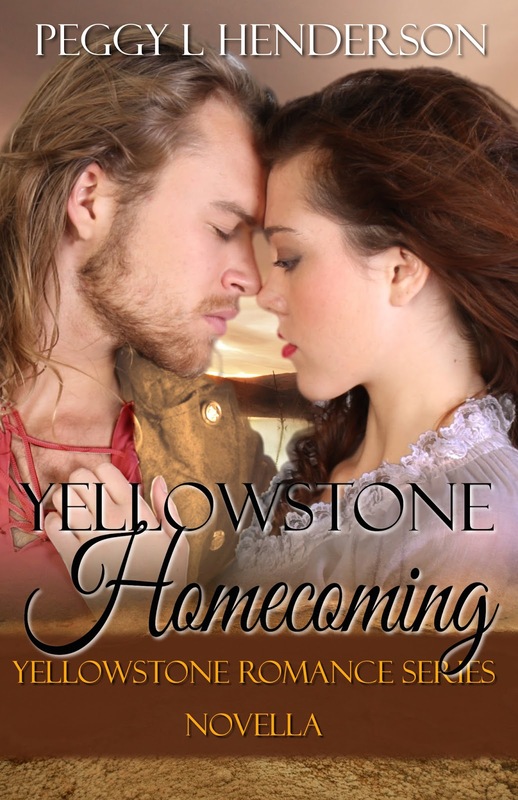 She’d set up Morgan’s Crossing a mining town two days from her original Sweetwater Springs setting. Morgan’s Crossing is small, with a boarding house for the miners, a store, saloon, community hall, cabins, and tents. Of course the man who owns the mine has a nice, large home. My character in the book is a mine guard. He lives in a guard shack by the mine with three other men. Other buildings needed with hard rock mining were a mill to make the lumber to hold up the tunnels dug and blasted in the rock, a stamp mill to crush the rock and release the gold, a livery to house the horses that ran the machinery and hauled the loads of ore, a machinist to take care of all the mechanical parts, and an assay office to determine the grade of the gold found. 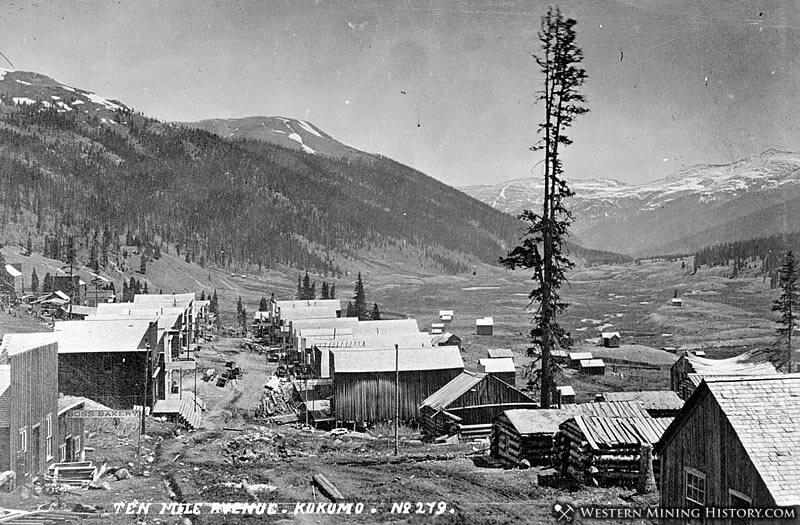 A booming mining town wasn’t a quiet place. The thud of the stamp mills could be heard for miles long before a person rode into town. The streets were either dusty or muddy depending on the weather. And most mining towns weren’t the people’s pride and joy. There were few women and the men worked long hours. All they wanted was food and a bed when they weren’t working. How they lived didn’t matter to them. Dust in the streets in it’s dry, mud when it’s wet. Animal dung from horses, mule sand oxen. Human refuse tossed in the streets. And the fresh smell of pine from the new buildings constructed. Tents and crude cabins were the usually housing in a mining are that was growing. Water was drawn at a town well or pump. Each household had an outhouse behind it. Company boarding houses, housed the mine workers. It was usually two story with the office, dining hall and kitchen on the bottom floor and the sleeping quarters upstairs. Built-in wooden bunks were shared by two people. Each person worked a different shift. The miners weren’t clean either. After a shift they’d set wet boots around the wood stove and they didn’t wash. The smell must have been enough to make nose hairs curl. Tobacco juice mixed with mud on the floors. Pack rats and flies were also part of a company boarding house. I tried to evoke some of this color into, Isaac: Letters of Fate. Alamayda Wagner’s life has left her cynical, but also vigilant, and that’s what propels her to Morgan’s Crossing, Montana in order to uncover the secrets her father took to his grave. 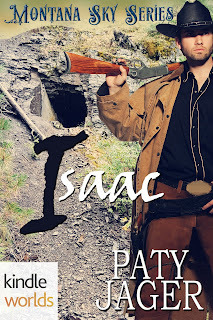 She quickly discovers her only hope includes trusting Isaac Corum. That soon proves to be expensive, and not just financially. 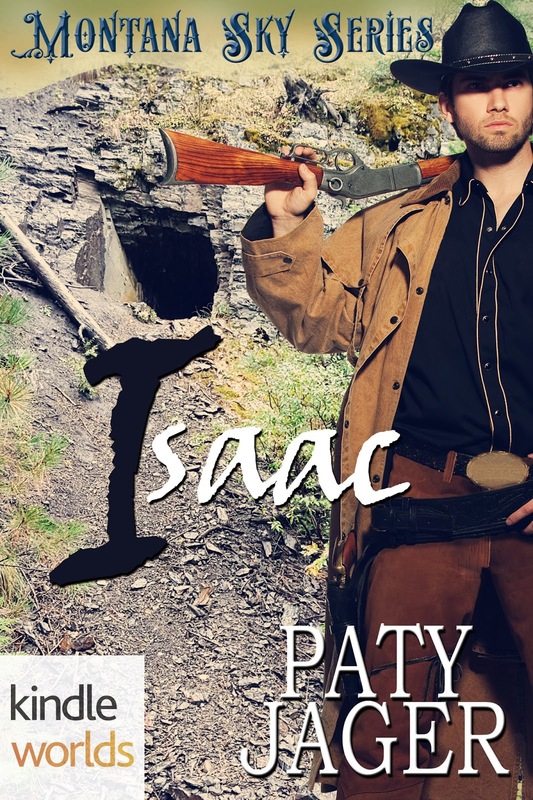 The last thing Isaac Corum needs or wants is a snooty woman telling him he didn’t do enough to save her father, which is what her letter implied. He’d helped the man more than most people would have, and swears he won’t go out of his way like that again. He’ll meet her at the Sweetwater Springs train station, deliver her father’s belongings, and send her back the way she came. Mountain men and fur trappers blazed trails in the American West long before the wagon trains and settlers crossed the continent. Lewis and Clark traded furs and good with the Native Americans during their explorations in 1804-1805, and more and more adventurers braved the wild mountains west of the Missouri to find their fortune in animal furs. The mountain man's life was dictated by the seasons and the climate. Most trapping occurred in fall and spring, when animal pelts were at their finest. When the season started, and how long it would go, was ruled by the weather. Spring furs were most desirable because the pelts were still thick from winter. When the quality of the pelts declined, the season was over. In 1822, two men from Missouri – businessmen, not trappers – advertised for “enterprising young men to ascend the river Missouri…” to trap for beaver. William Ashley and Andrew Henry formed the Rocky Mountain Fur Company, and employed trappers to work for them. In order to supply their men and keep them in the mountains year-round, they brought teamster-driven supply trains to the trappers starting in the summer of 1825. 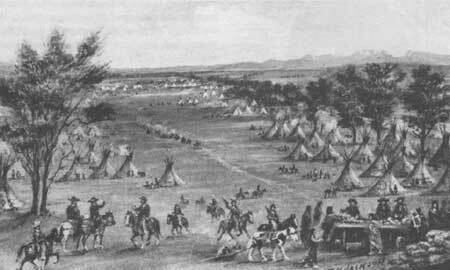 After rendezvous, the fur-loaded pack trains headed back to Missouri. Having a few hundred men in the mountains who did nothing but kill beaver assured Ashley and Henry a steady supply of furs to sell. At the same time the trappers, because they didn’t have to make the long trip in from the mountains, were willing to pay high prices for the supplies the company delivered. So Ashley and Henry made money on both ends of the deal. Each year, the location of the meeting places, or rendezvous, was different. What started as a practical gathering to exchange pelts for supplies and reorganize the company’s trappers into units who strategized where to trap, evolved into a month long carnival in the middle of the wilderness. 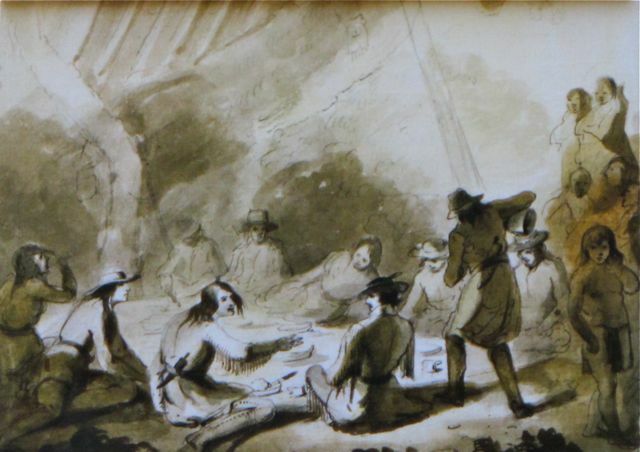 The rendezvous brought not only the trappers who worked for the fur companies, but also free trappers, women and children, Indians, French Canadians, and travelers. Besides the trading, there was a lot of socializing to do. Traders, trappers, and their Indian customers, friends, and families, ate, drank, gambled, staged horse and foot races, quarreled, fought, and made love. Mountain man James Beckworth described the festivities as a scene of "mirth, songs, dancing, shouting, trading, running, jumping, singing, racing, target-shooting, yarns, frolic, with all sorts of extravagances that white men or Indians could invent." An easterner gave his view: "mountain companies are all assembled on this season and make as crazy a set of men I ever saw." There were horse races, running races, target shooting and gambling. Whiskey drinking accompanied all of them. 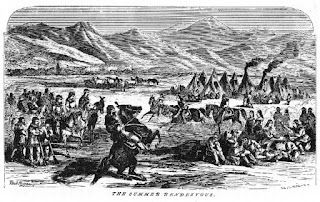 Rendezvous was over when the trappers had spent their year’s earnings on high-priced whiskey, clothing, and supplies needed to last another year in the mountains. 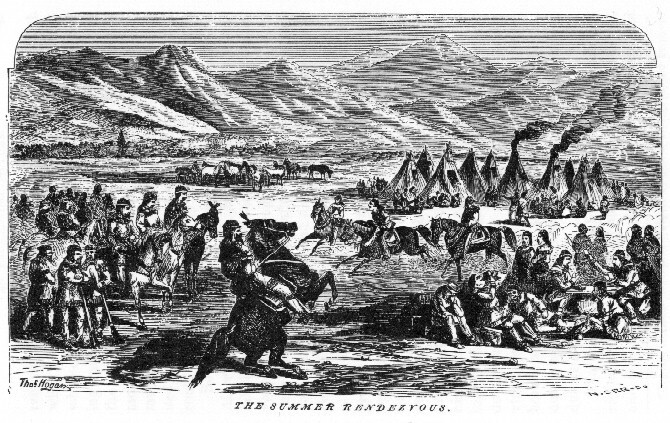 1840 was the last year that Rendezvous was held. Beaver had declined in number, and felt hats replaced beaver hats in popularity. The trappers found other ways to make a living — hunting buffalo for example — or guiding wagon trains. 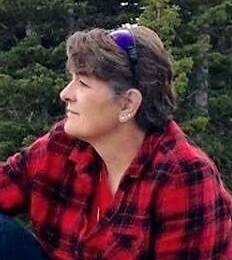 Laughter, loud voices, and gunshots reached them long before dozens of tents, lean-to’s and tipis came into view. Hundreds of trappers, Indians, and even several wagons with traders of all sorts of goods milled about the large open area. Matthew kept a look-out for his comrades. Men he hadn’t seen in years called out a greeting, others stared at him and Addy with interest. “Stay close,” he said when he caught the look of astonishment on Addy’s face as they passed men who wrestled each other to the ground, knives drawn. “Isn’t anyone going to stop them from killing each other?” she whispered. “Barbarians,” Addy hissed. She shot him a disapproving frown when he chuckled at her comment. Matthew’s head turned at the sound of the familiar voice. Jim Bridger rushed around a group of men inspecting a cache of furs. Matthew dismounted his horse, and held out his hand in greeting. The trapper shook it. He cocked his head to the side and looked at him suspiciously. “It’s Matthew, ain’t it?” he asked, uncertainty in his voice. Addy gasped at Jim Bridger’s words. Matthew mounted his horse. “Thanks for getting them here safe.” He nodded to Bridger. “Come back and visit with Fitzpatrick an’ me fer a spell when you’re done with Witmer,” Bridger called. The Peshtigo Fire: You never heard of it?